Editors Note: Win the the battle for hearts and minds by signing up for the Facebook Ads Setup Plan! Show you why Veterans and Military Organizations stand to benefit from advertising on Facebook. Give you a step by step introduction to the creation of your own Facebook Ads. Introduce you to the DIY Facebook Ads Marketing Course. Should Veterans and Military organizations advertise on Facebook? Facebook is huge! The platform has over 1.2 billion users as of the time of writing this article. What this means is that whatever the business that you are into, you are likely to get positive results reaching your target audience. Anyone can create Facebook Ads. 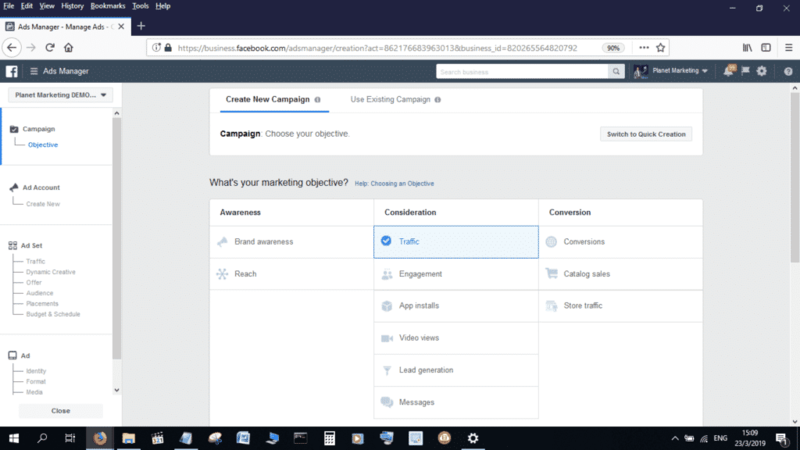 I know, in this article, I sometimes try to sell you on my DIY Facebook Ads marketing course, but really, you can create Facebook Ads on your own if you have the time and patience. Facebook ads are particularly cheap to run. This can be important if you run a not-for-profit Veterans or Military organization. Indeed, advertising on Facebook tends to be cheaper than on Google Ads. With Facebook, it’s possible to be very precise with your targeting. This makes your ads highly relevant and, by extension, highly successful. Not having a full understanding of the military: Many people make the mistake of assuming that the military is homogeneous. If you are going to be targeting a specific branch, make sure that the symbols and uniforms that you use in your Facebook ads are the correct ones. 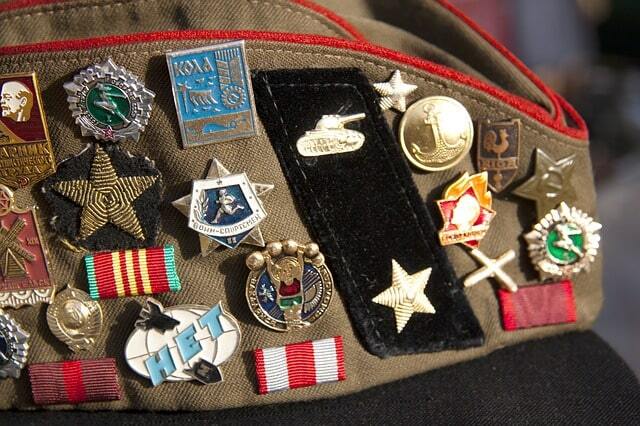 Veterans tend to be fiercely particular about their military paraphernalia and trying to sell them something using a model who has never been in the army and does not know how the uniform is worn will get you into trouble. This is something that applies no matter the type of business for which you are creating Facebook Ads. We have previously written articles on creating Facebook Ads for family law attorneys and for commercial insurance agencies, and you can see the similarities that exist therein. 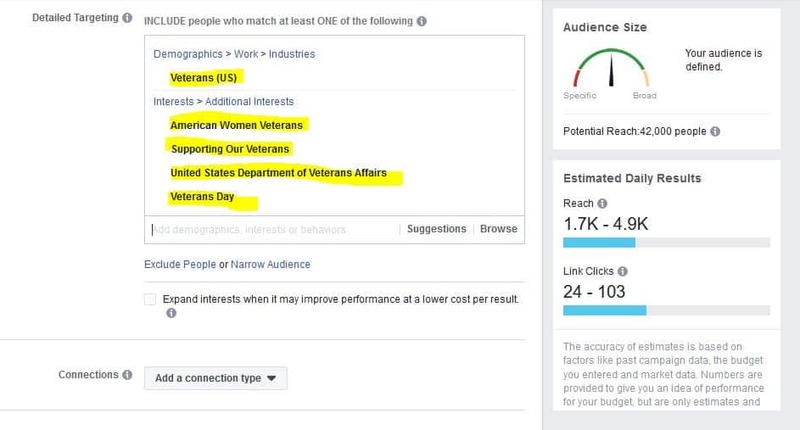 Which Facebook Ads Objective is the best for Veterans and Military Organizations? The Facebook Ads Campaign Objective that you choose is largely going to be dependent on what your aims are and how you are wish to achieve them. For veterans and military organizations, you can choose to have the people that click on your ads taken to a landing page, where you will have them fill in a form as a way of converting them. 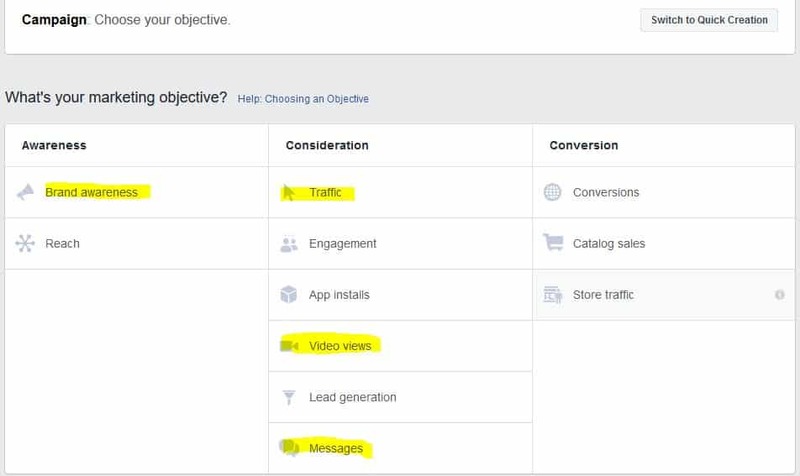 Should that be the case, then “Traffic,” would be the best Facebook Ads Campaign Objective. The first important step when it comes to defining your target audience involves having clarity on the choice of location or locations to which you wish to have your ads delivered. The great thing is that Facebook allows you to choose as many locations as you wish for your ad delivery. Just remember that when it comes to reach, every business is going to be different, which tends to affect the nature of the Facebook Ads that you are going to create. A restaurant, as an example, can only get customers from a few miles around its physical location, whereas a veterans or military organization can have statewide or even countrywide reach. For the sake of this example, we are going to assume that the organization for which we are creating Facebook ads operates in the state of California. Our ads are, therefore, going to only be shown to people who live within this state, though its clearly possible for us to create ads that a delivered countrywide. Age is another of the settings that you can use to further narrow down on your target audience. For the sake of our example, we are going to go with the Age 30, which we feel is the age around which people begin to leave the army. If your Ad is targeted at only men or women, you can choose the correct setting using the gender section. The languages setting allows you to choose to have your Facebook ads delivered to people who speak one language or the other. As far as creating Facebook Ads for Veterans and Military Organizations is concerned, this, without doubt, is the most important setting. 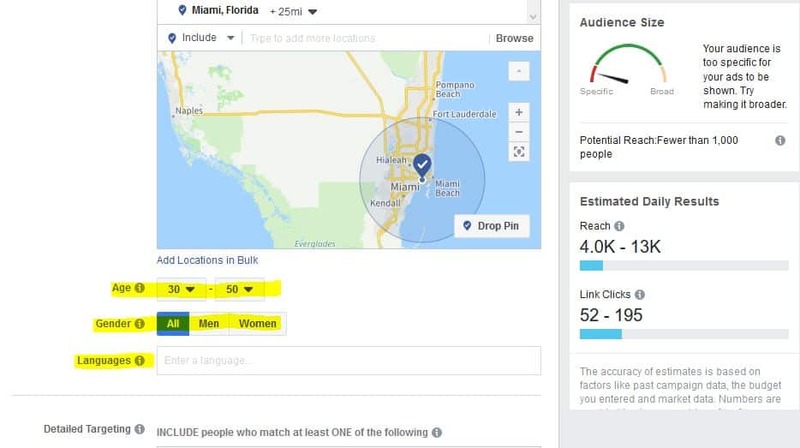 Audience targeting using demographics, interests and behaviors increases your chances of converting the people who come across your Facebook Ads. For this example, we are going to have our ads delivered to people who have expressed an interest in veterans related issues, and to those who live with a veteran under one roof. Indeed, there are a number of other options from which you can choose when creating Facebook Ads for veterans and military organizations. Once you have identified your Objective and have defined your target audience, creating the Facebook ad for Facebook Ads for Veterans and Military Organizations is simple enough using Ads Manager. Just note that Facebook allows you to create single image ads, and video ads, among other formats. So, what are you waiting for? Sign up for the DIY Facebook Ads Marketing course to begin creating your own Facebook Ads. Creating Facebook ads takes so many steps that it would be difficult for everything to be covered in one day. I have only just scratched the surface in this article. 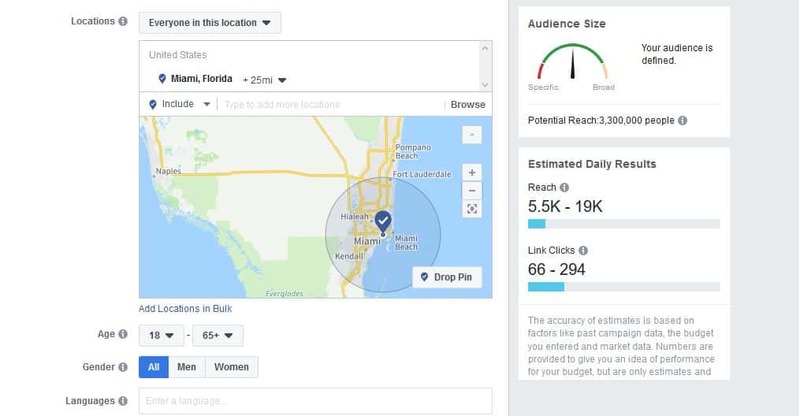 We recommend that you take our DIY Facebook Ads Marketing Course to get all the steps that you need to take when creating your Facebook Ads.